This has been a long time in the making, but I wanted to properly acquaintance myself with both sets before reviewing them. Cat sent me the BH Cosmetics BH Chic 14pc brush set in her last care package at my request. I liked that it came with a matching case that looked both sturdy and spacious, which is perfect for travelling. When I saw that I could get dupes of the Zoeva Rose Golden brushes on eBay that was both cheap and vegan, I went for it. I made the decision to compare the two sets as soon as I added the Zoeva dupes to my cart. I played with them for about two months before I made my verdict, and here it is! 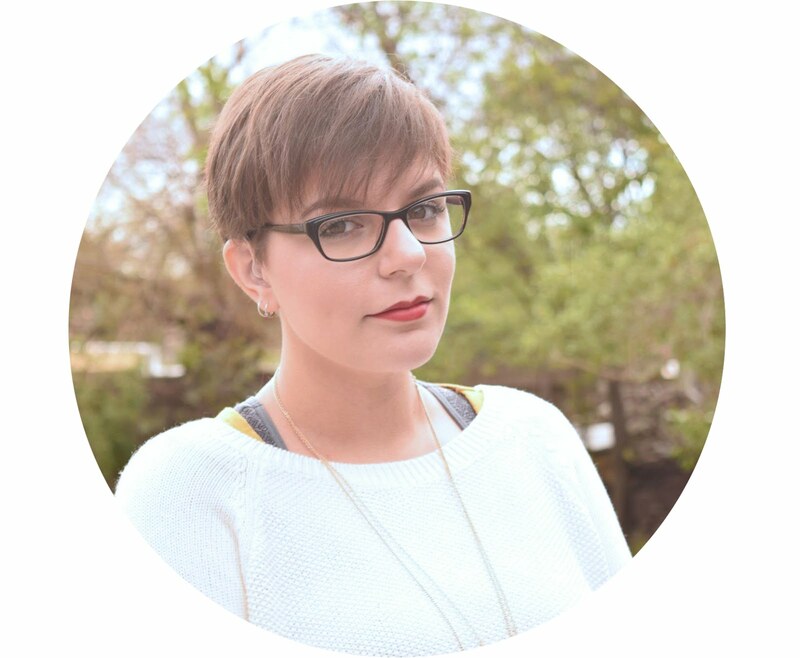 Let's talk packaging! I bought the Zoeva dupes on eBay, and it arrived in an envelope about a month after purchase. Overall, they were in good condition, clean, undamaged and soft. I gave them a wash first to be sure to remove any manufacturing residue, and to test its durability. I tugged the bristles hard this way and that, and none of the hairs came out. The handles match the real Zoeva brushes almost exactly as the shape of them and the colour of the ferrules and the handles were identical. The only thing that set them apart was that the dupes did not have any labels on them. The bristles are either pure white, an ombré brown or a black and white gradient. The BH Cosmetics set is quite different in appearance to the Zoeva dupes. The ferrules are more pink/champagne in tone, while the ferrules on the dupes are more coppery. The handles are darker, more of a blush pink rather than the pale baby pink you find on the dupes from eBay. 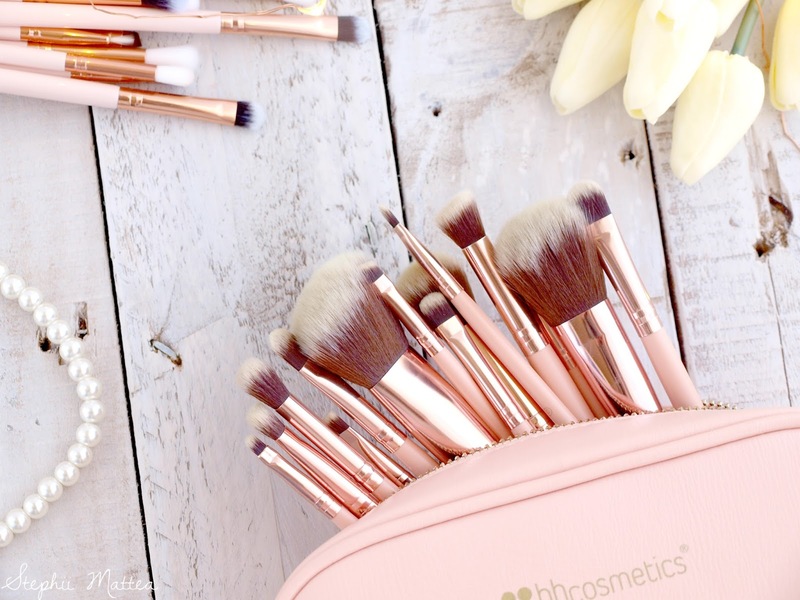 The BH Cosmetics brushes are stamped with the company logo, and they're also numbered to tell you which brush it is if you compare it to their list. The hairs on these brushes are all the same, a dark brown with yellowish tips. I'm not crazy about the yellow tips to these brushes, it makes them look aged and dirty. I've washed these several times, and I've not lost a single hair on their heads. A couple of handles, however, have shown signs of cracking. The Zoeva dupes are obviously the prettiest in comparison to the BH Chic set, but that's pretty much the only benefit these brushes have. I've tried each and every one of them, and find a lot of them quite useless. All of the white brushes, while very soft when you run your fingers through them, are quite scratchy when you sweep them across the skin on your eyes. The only white ones that I use regularly are the two smallest ones, the liner brush and the tiny pointed eyeshadow brush. The rest of the white ones don't do blending very well, despite the fact that they do a good job of picking up and holding product. The white brushes are starting to become stained, and no amount of washing will remove the trace amounts of colour on them to return them to their original pristine state. I really like the angled brush, which I use on my brows because it's thin enough to replicate hair, and angled more so than other brushes I've used. I also like the tapered ombré eyeshadow brush, the one that matches the angled brush, as it helps to really pack on the shadow to the lid. I occasionally use the black and white gradient brushes, namely the blending brush and the dense tapered eyeshadow brush on the left. I rarely use the one on the right. While I don't necessarily use each and every one of the BH Chic brushes, I reach for them much more than the Zoeva dupes. I tend to skip over brushes 4, 10, 12 and 13 because I don't have any use for them. 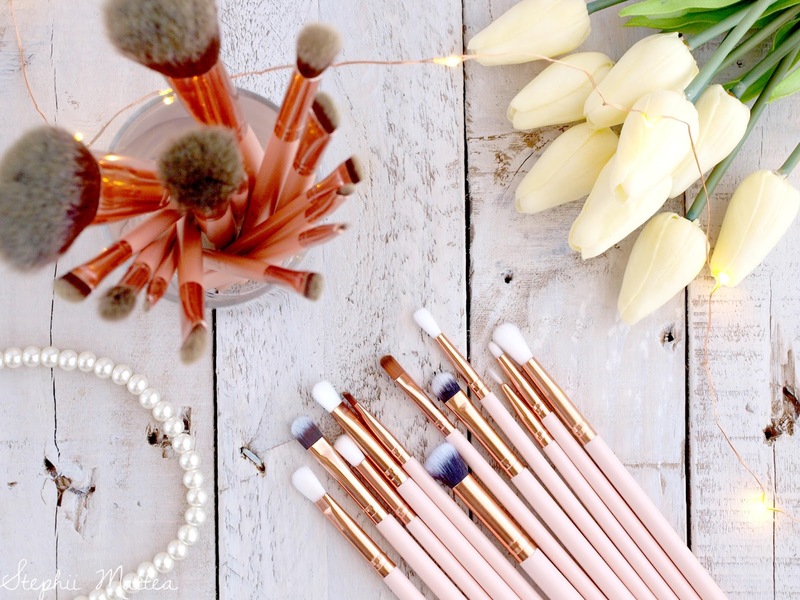 My favourite is definitely brush number 7, the eyeshadow blending brush - it is soft yet dense enough to properly blend my eyeshadow. I like using the small powder brush to either set my concealer or to apply highlighter. I use the blush brushes when my favourite blush brush is dirty. They perform much better than the Zoeva dupes, picking up products easily and application is a breeze. It feels soft on the face and doesn't drag or make makeup look streaky. None of the brushes shed, and the ferrules are securely glued to the handles. I've washed these multiple times, and it takes very little time to remove all traces of makeup from them. I did find that a couple of the hairs were a little longer than the rest, but I trimmed them down. I mean, as long as they get the job done properly, I'm not complaining. Verdict? Get the Zoeva dupes purely for aesthetics - I keep them on my vanity where they look pretty, and they are super photogenic and look gorgeous in photos. The BH brushes are definitely good for the price as a set, but they are not quite up there with Real Techniques, for example. 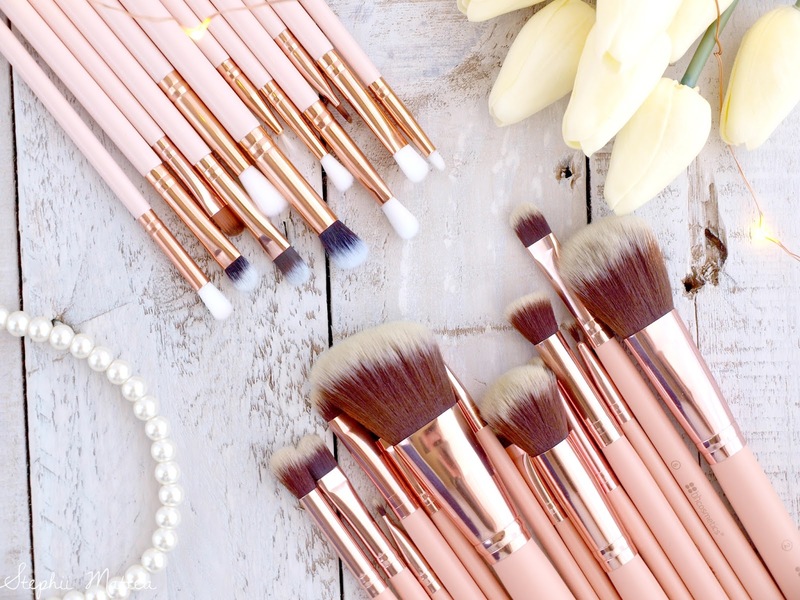 Sure, they may not look or perform exactly like the Zoeva brushes, but for the price of about $22, I don't see any reason why this can not be an affordable alternative if you're into rose gold and blush pink and you want a functional set of brushes. 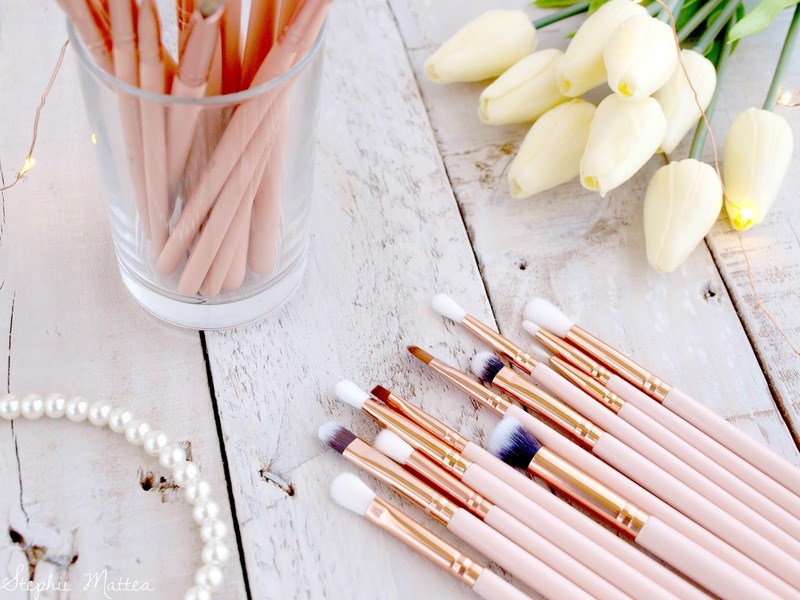 Have you ever bought or used dupe brushes before? What did you think? If you haven't, would you?